Care Home Design, Development & Construction » 1 in 4 Nursing Home Residents Carry MRSA! 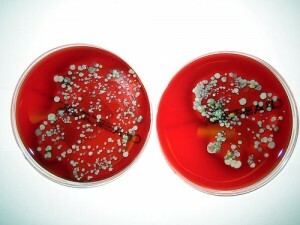 1 in 4 Nursing Home Residents Carry MRSA! The results of a UK study were highlighted on the web ‘Science Daily’ (June 6, 2009)— MRSA is a major problem in nursing homes with one in four residents carrying the bacteria, a study by Queen’s University Belfast and Antrim Area Hospital has found. Twenty-four per cent of residents and 7 per cent of staff were found to be colonised with MRSA, meaning they were carrying the bacteria but not necessarily showing signs of infection or illness. Residents in 42 of the homes were colonised with MRSA, with recorded rates in individual nursing homes ranging from zero to 73 per cent. Staff in 28 of the homes carried the bacteria with prevalence rates ranging from zero to 28 per cent. “We decided to carry out the study after noticing an apparent increase in recent years in the number of patients who had MRSA when they were admitted to hospital from nursing homes. or email:info@carehomedesign.co.uk in full confidentiality.